The European Council President almost give Britain 8 extra days of Brexit extension in the no-deal scenario. 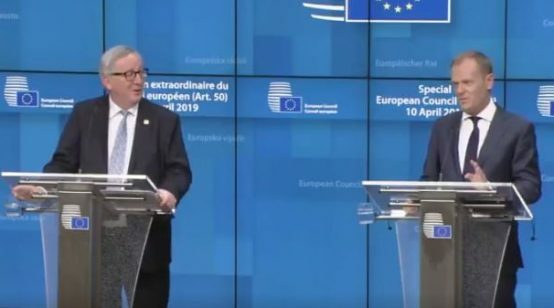 European Council President Donald Tusk and European Commission President Jean-Claude Juncker caused some laughs and had some of their own during their late-night press conference in Brussels after on Thursday night the EU 27 leaders agreed to delay Brexit. 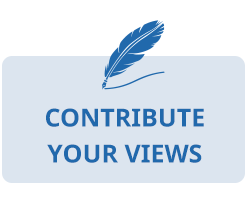 According to the conclusions of the European Council Summit, the European Union granted the UK an extension on Brexit from the originally set date of March 29, 2019. The Brexit extension will be until May 22, the day before the 2019 EU Elections, if the British Parliament approves next week UK Prime Minister Theresa May’s amended Brexit deal with the Union, or until April 12, if the legislature in London fails to do so. With the European Council Summit talks lasting a good 8 hours on Thursday night, European Council President Donald Tusk and European Commission President Jean-Claude Juncker went on to give reporters an update on the delay of the EU Lisbon Treaty’s Article 50 process in a late-night press conference. The unusual hour and topic of the press conference ended up being lit up by tongue slipping with the otherwise cataclysmic Brexit process deadlines, and some joking or witty answers by Tusk and Juncker to reporters’ questions. 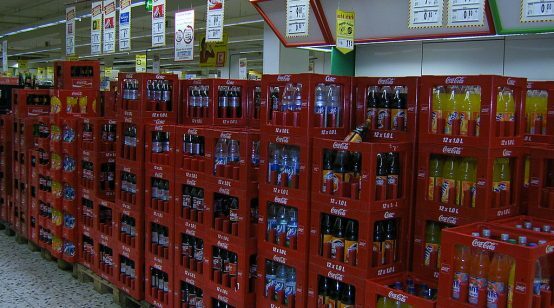 “In the second scenario, if the withdrawal agreement is not approved by the House of Commons next week, the European Council agrees to an extension until the 20th of April… – 12th, 12th of April…,” Tusk said, with Juncker’s laughter heard in the background. The EC President himself demonstrated a sense of humor when he got asked by a reporter how long a long Brexit extension was. 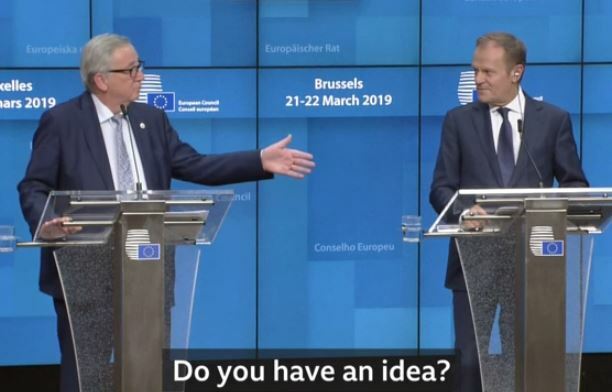 “Do you have an idea?” Juncker turned to Tusk who, however, remained silent. “Until the very end,” Juncker then replied on his own. 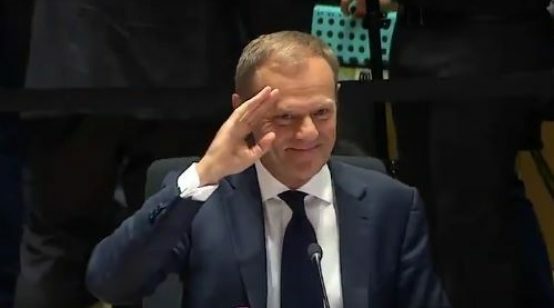 Tusk also had a witty response moment at the very end of the late-night Brexit extension press conference which drew a connection between a no-deal Brexit scenario and “going to hell”. “I think it’s the right moment to conclude the press conference,” a spokesman intervened then. 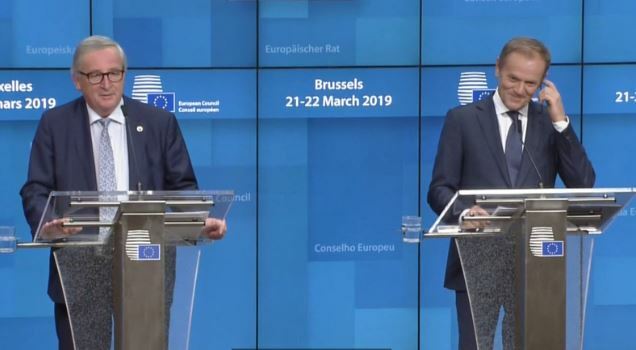 The funny moments in Tusk and Juncker’s late-night Brexit extension press conference can be seen in this BBC News video.